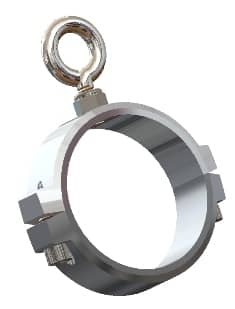 Clamp collar with stainless steel eye-bolt. Ideal for locating your teaser line almost anywhere on the outrigger. Clamps to an Outer Diameter of 1.625", 1.750", 2.000", 2.175" or 2.375".